Building Supplies R Us is committed to providing the safest and most secure shopping experience available online. 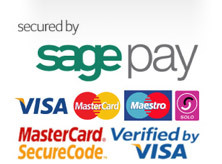 In summary, your payment details and personal details are safe when you order online with Building Supplies R Us. In the unlikely event of fraudulent or unauthorised use of your credit card, Building Supplies R Us will refund to you the money it received provided that you notify your card issuer and Building Supplies R Us as soon as you become aware of the unauthorised use of your card.